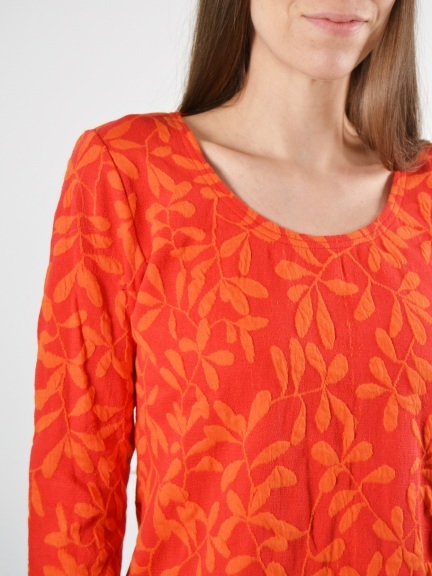 A boldly colored top in a graphic jacquard knit depicting an organic leaf pattern. Has a small scoop neck, 3/4 sleeves and a slightly loose fit. Made in Denmark.